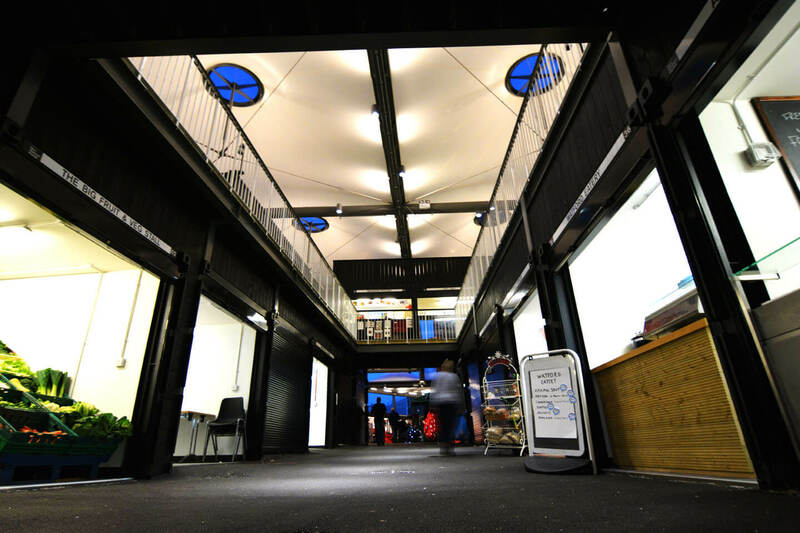 New Watford Market gives local entrepreneurs a chance to thrive inside a shipping container. Cargotecture is hot right now, and there’s a new container market in town. 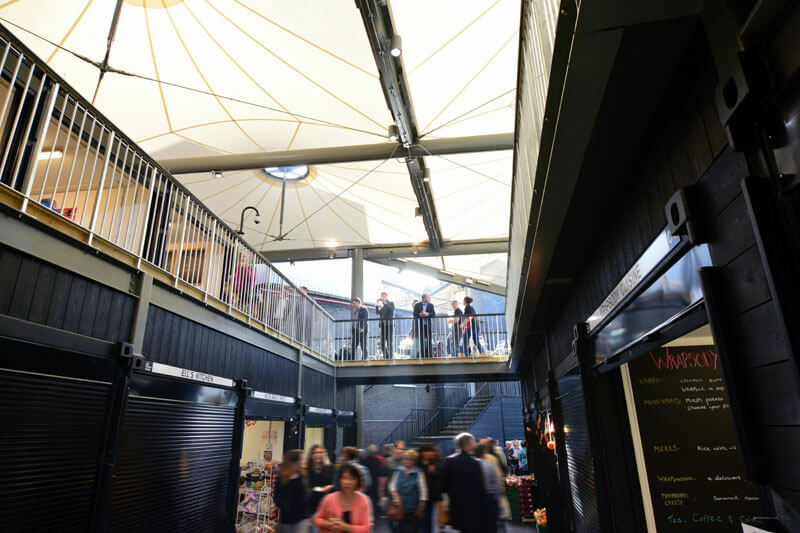 Watford Market dates back to the 12th century but modern shipping container architecture has given it a new lease of life. Containers that were once used to transport goods from the Far East now have a very different future ahead of them. 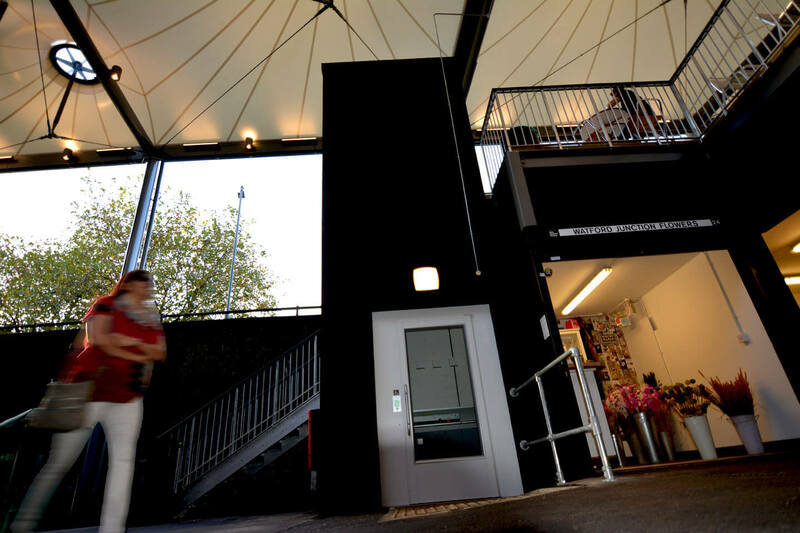 In total 42 containers were converted by Adaptainer and used like Lego bricks to create the striking development, which has containers arranged over 2 levels. Each box was modified and fitted out to suit the needs of individual market traders, with some units even being used as restaurants. The upper food court level includes wooden decking, which gives you the feeling of being on a ship, so it’s a perfect match for the containers. When walking around the food court you’re greeted by wafts of freshly prepared cuisine from far flung places like Taiwan and Mexico. There’s also an atrium which gives you a bird’s eye view of the shopping activity below while you’re eating. Turning England’s rainy days into a design enhancement opportunity. England is known for its rainy weather so the open air market was given a canopy. The form of the canopy is beautiful in design as well as being practical. 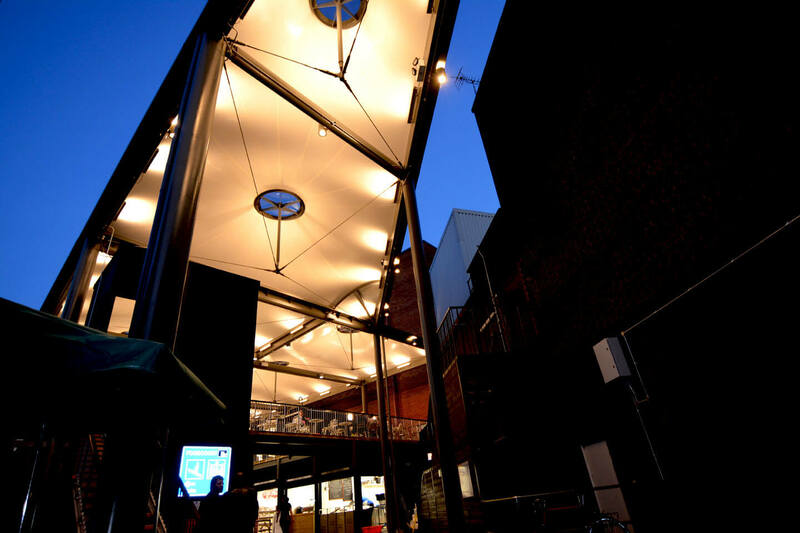 In the evening it’s illuminated, together with each of the shop and restaurant fronts. 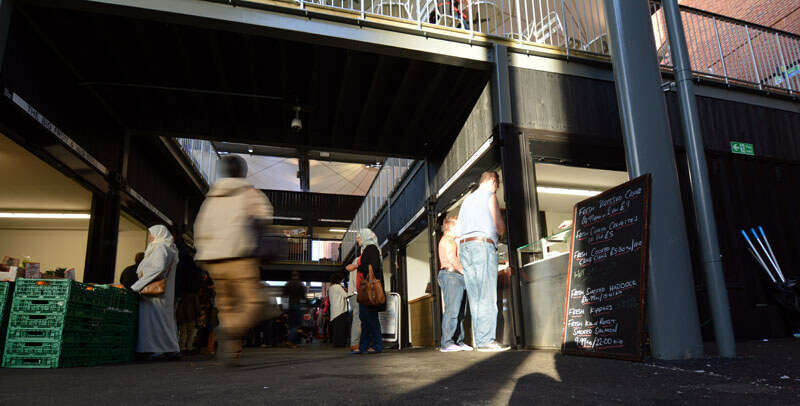 Its lighting gives you a different feel to the market compared to a daytime visit, making it look even more impressive. After walking around Watford Market I felt I’d seen something out of the ordinary. Perhaps it was the fact that a simple steel box intended for use transporting cargo from one place to another had now become something entirely different. Local entrepreneurs benefit from reduced cost of building with shipping containers. Peter Williams who runs the stall Shuying said, ‘I think the new Watford Market is more modern than the old Watford Market, it’s unusual and up to date’. The cargotecture design is a unique look for the market, but there’s also another upside. Local entrepreneurs now have an affordable town centre location to sell from. Space can be rented from just £24.00 per day, so it’s not out of reach for many start-ups. Good design and practicality have married together here, I hope to see more container markets like this one from Adaptainer in the future.